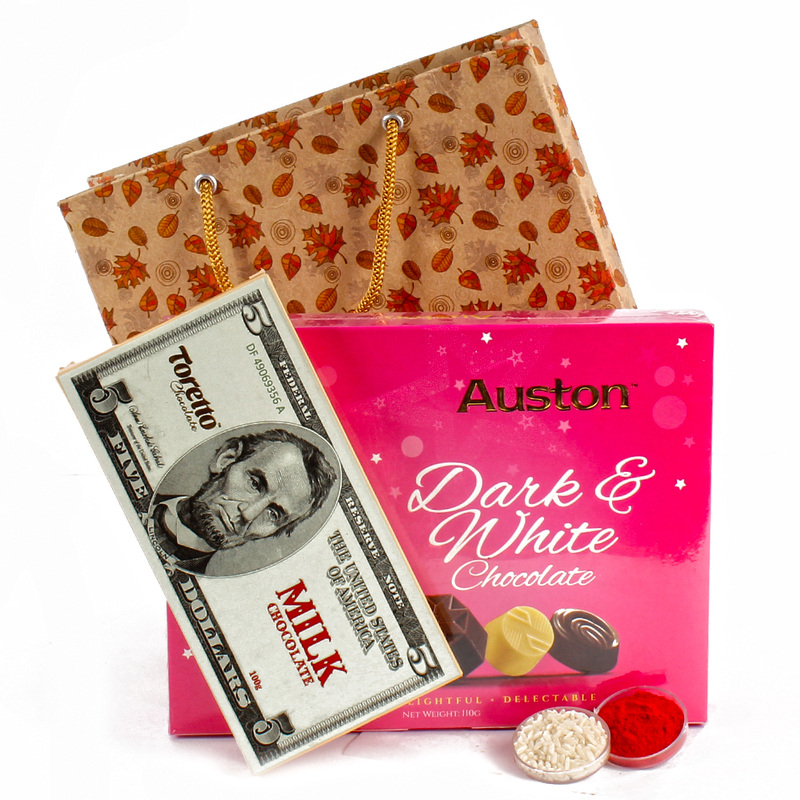 Product Consists : Auston Dark & White Chocolates Box (Weight : 110 gms) along with United States of America Toretto Five Dollar Milk Chocolate Bar (Weight : 100 gms).and Pack of Roli Chawal all this nicely packed in a Paper Gift Bag. 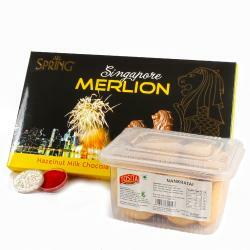 Specially curated to bring smile on face of your loved ones, this is a combo of a bhai dooj tikka and chocolate brought to you by Giftacrossindia.com. 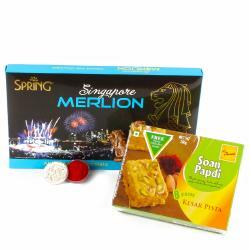 This tikka and Auston Dark & White Chocolates Box with America Toretto Five Dollar Milk Chocolate bar, yummy chocolates come packed in a gift bag which adds to its appeal. 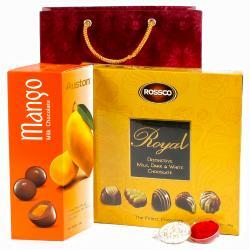 You can send it to your loved ones on occasion like Diwali, bhai dooj and other occasions on which is essential to perform pooja. 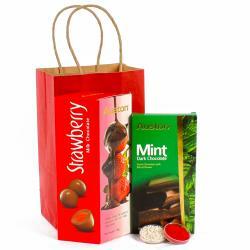 Product contains : Auston Dark & White Chocolates Box (Weight : 110 gms) along with United States of America Toretto Five Dollar Milk Chocolate Bar (Weight : 100 gms).and Pack of Roli Chawal all this nicely packed in a Paper Gift Bag.